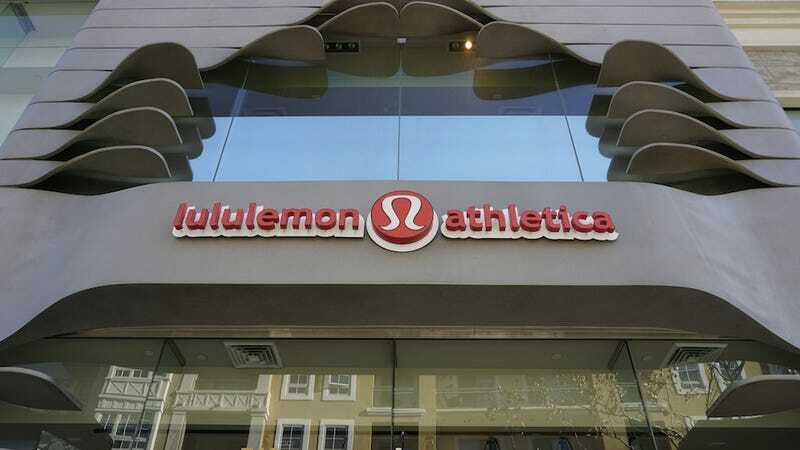 Is Lululemon's Logo Just Too Girly for Guys? Lululemon is attempting to expand its reach by courting the gents. But could their logo be a problem? Could it be just a tad too... feminine? Women don’t appear to mind advertising the brand. At an average price of $98, the pants are expensive — and for that reason, Lululemon has become a status symbol for many women. But Lululemon’s logo strategy hasn’t had the same effect on men, according to analysts. Despite the recent growth in its menswear line, Lululemon is still widely perceived as oriented toward women. Some men have been deterred from wearing it, as a result, and the logo doesn’t help. “Not a huge fan of the logo that sticks out like a sore thumb,” one Lululemon customer wrote in a review of the “ABC” pants. Plus, who wants to endure jokes about see-through yoga pants? Fellas, until the company does a revamp, guess you’ll just have to weigh the danger of being seen in a ladies’ brand with the promise of pants that don’t strangle your balls. Dudes really love those no-ball-crushing pants. Anything for the ol’ family jewels.